11:11 Events presents A Night With Laura B & Nicholas McDonald. Laura recently appeared in BBC One show "All Together Now" on Series 2, episode 1 having received some amazing feedback from Geri Halliwell saying she is "A breath of fresh air". Nicholas appeared on ITV's X-Factor having got through to the final before becoming runner-up in 2013. This one will be a night to remember! 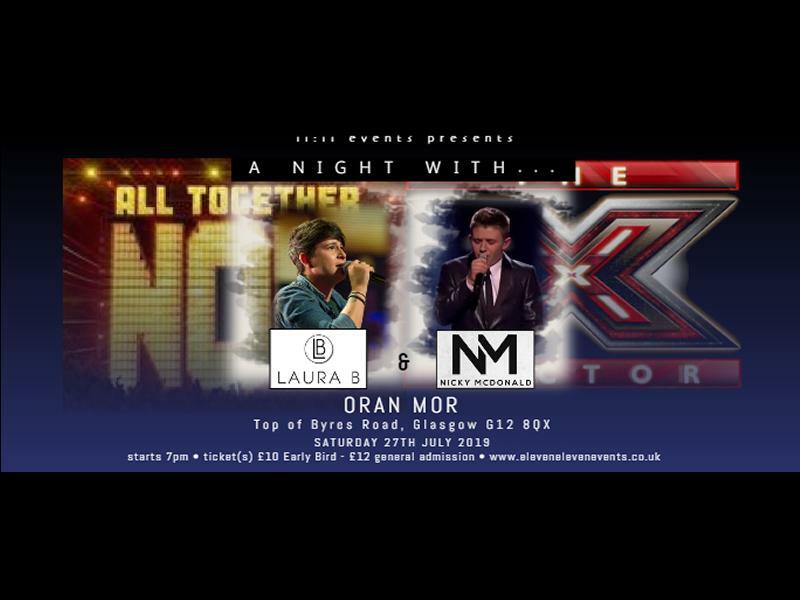 While we take every opportunity to ensure the details for A Night With Laura B & Nicholas McDonald are accurate, we always advise that you contact the event organiser before setting out for the event to avoid disapointment. For one night only, Ibiza meets theatre in Glasgow's Oran Mor! Join Insideout Theatre Productions for this unique theatrical club night!